As I read her book several limitations stood out for a book promoted as a “client’s guide.” While research on EMDR Therapy repeatedly demonstrates its effectiveness, Tal seems to promote an almost magic wand for its speed and applicability. Her various stories are compact, emphasizing only the quickest examples. Her numerous cases are presented without sufficient context for life circumstances of the individuals being helped. I’m concerned she will mislead some readers with her abbreviated vignettes. I worry she is setting up some clients and clinicians for failure by not exploring the uniqueness of every person’s treatment needs. Reading this book must be couched in the reality of your unique situation. As there are many effective and complete treatments, your life circumstances should determine your appropriate treatment needs rather than appealing to EMDR Therapy as a one-size-fits-all solution. Reading with a fine tooth comb there are a few statements when she concedes that, yes EMDR Therapy still requires commitment to process, which can take time. For example the process of addressing complex or multiple symptoms and memory targets can last a series of months or more. And, in my opinion more importantly, time is invaluable for ensuring you are ready and able to be successful. Your preparedness (accomplished in the preparation stages of EMDR) is something that can only be done in relationship with a trained EMDR therapist. EMDR Therapy has been found effective for treating PTSD (from war, sexual & physical abuse, and natural disasters). What she does well is share how EMDR Therapy can be effective to support a variety of personal challenges and symptoms that wouldn’t meet the criteria for PTSD. Such as someone who is working towards…. You are not the problem. She explains how through the lens of EMDR Therapy the symptoms are clues. Your struggles are not your fault. Symptoms are often simply revealing that your brain is naturally trying to process and make sense of your overwhelming experiences and challenges. Tal states that addressing the symptoms while not addressing the cause – unprocessed memory –increases the likelihood of recurring symptoms. With her emphasis on sharing various/varied examples of symptoms addressed, she errs by rarely talking about the complete treatment arch of EMDR Therapy. In other words most of her stories focus primarily on the middle portion of the EMDR treatment process. She does not provide a complete context for the individuals who receive the results she shares. We often begin reading about someone’s treatment process part way through, though we don’t know the personal contexts for clients’ in her stories. What are his or her abilities to cope, his or her resources (friends, family, support groups, faith communities, etc), history with therapy (which may have been ground work for the quick results), physical fitness (strongly correlated with emotional resilience), etc.? Tal’s over-emphasis on the speediness of EMDR Therapy. Through her stories, Tal over-emphasizes EMDR Therapy’s antidotal speed. She reports an average of three sessions, but we don’t know if that is the whole treatment process or just the middle portion of EMDR protocol. Yes, I’ve worked with men and women for whom three sessions completed their goals; yet, there are a million little reasons some people can do it in three sessions while some need months or longer. The key is in the context of your life and the time it takes to prepare the body and mind. Then treatment progress will be a matter of number and complexity of symptoms presented. I worry that her push to sell the speediness of EMDR will distort your expectations of your unique process and possibly, unintentionally, bring up shame for people whose struggle toward recovery rightfully takes longer. Tal seems to believe that strict adherence to just formal EMDR Therapy script will solve everyone’s symptoms. EMDR Therapy brings much to the work of healing and emotional well-being, recovering from traumas, and other performance enhancement. Yet, I believe it is important to match what you as a client need with the various skills and training I can offer. EMDR Therapy is just one approach that I am trained to use. A final note, which may sound a bit contradictory, when compared to other approaches that get similar results EMDR Therapy has been found quicker. EMDR Therapy is typically done in 90-minutes appointments which may make the initial investment greater. However, because it is frequently quicker to reach one’s goals, Tal makes it clear that it may be less expensive in time, money and effort in the long run in comparison with other approaches that get similar results. In short, I do recommend this book when read with a critical eye, remembering to consider the uniqueness of each client’s treatment needs. 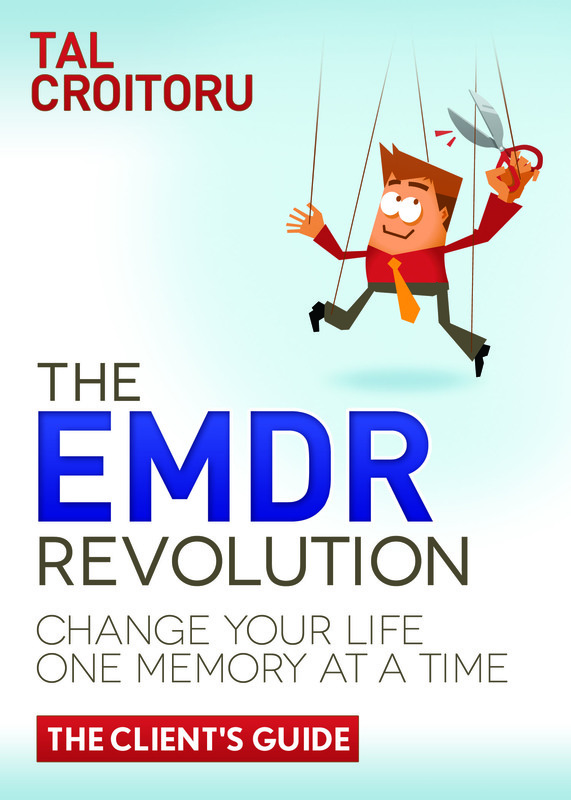 Actually, I provide a copy of this book to all my clients as a way to start a conversation about EMDR Therapy. In conversation with your therapist you can decide what will work best for you to meet your goals. If you have questions about EMDR Therapy or other approaches I offer for treatment, please give me a call. If someone you love is hurting after a small or large trauma, encourage them to get a check-up with an EMDR-trained therapist.